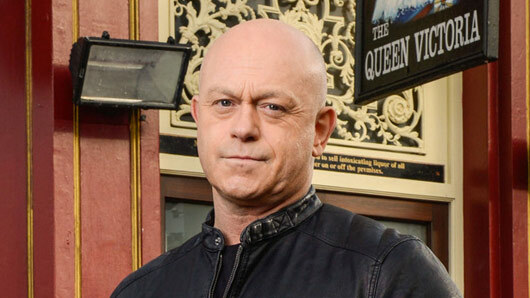 Ross Kemp’s latest stint on EastEnders might well be his last, according to a new interview with the Grant Mitchell actor on Digital Spy. In scenes broadcast on Monday and Tuesday this week, the infamous younger Mitchell brother returned for his second short stint of 2016 to save nephew Ben from a group of violent anti-LGBT kidnappers. He also appeared briefly earlier in the year for Barbara Windsor’s final scenes as Peggy Mitchell. “It was in the back of my mind that when I went back the second time, everyone said I’d suddenly become some kind of worthy individual, so I went back to try to play him from the old psychopathic Mitchell that he was and hopefully that will entertain, for a period. Kemp’s words will no doubt fuel fan speculation that Grant may die at the climax of his latest appearance. Some fans have felt that with the reveal of Grant’s secret son Mark, Grant’s last story has been told by EastEnders. It is also worth noting that Grant’s brother Phil is currently dying from liver failure and in desperate need of a transplant. Narratively speaking, it would be an excellent last hurrah for the much-loved character of Grant – saving his nephew and brother in one action-packed punch. It would also be terribly tragic if Grant was never able to properly bond with his son Mark, whom he has only just met. EastEnders continues this Thursday at 7.30pm on BBC One. « Barbara Windsor’s Peggy Mitchell to return to EastEnders as a ghost?